This PBS period drama focuses on the home front in this series set in a Civil War hospital in Alexandria, Virginia—a must-see drama for fans of Downton Abbey and Call the Midwife. Conceived as a docudrama about Civil War medicine, it emerged into a full-blown, character-driven program focusing on the new phenomenon of the general hospital, on supporters of both the Confederate and the Union causes, and on the influx of refugee slaves, spies, prostitutes, and speculators. 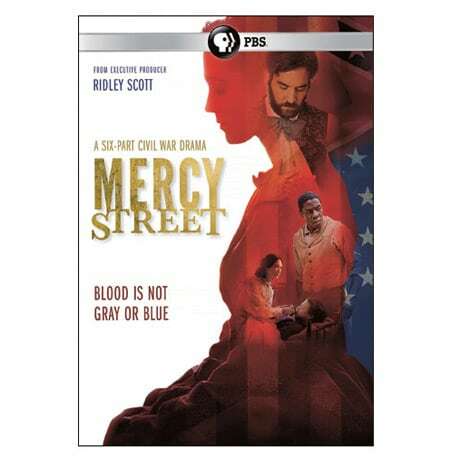 Exploring a moment when both medicine and gender roles were in flux (often with dark humor inspired by accounts of such volunteer nurses as Louisa May Alcott), Mercy Street is quality viewing in a class of its own. The DVD includes an hour of special features.